Practicing as a freelance stone carver, letter cutter and mason for over 30 years, involved in many prestigious heritage stone carving and sculptural projects/commissions. Working both on-site and within the studio. Projects vary considerably from small inscriptions up to huge wall of carving. 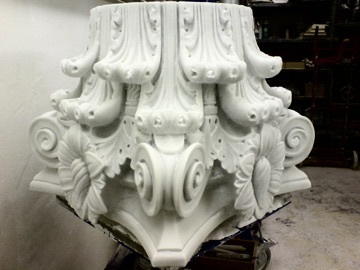 Taking commissions or sub-contracting, the work can be site-specific, bespoke, replication or restoration. Much of my work has been in and around London and the South of the UK.